Penny Warner: Blog: Are you smarter than a fifth grader? I’ve been a fan of puzzles and codes since I was a kid. I used to talk to my friends in Pig Latin, write the secret notes in Alpha-Numeric Code (each alphabet letter matches a number), and learned the American Sign Language Manual Alphabet so I could communicate with my friends in class without the teacher knowing. After writing several mystery series for adults, I wanted to write a mystery for middle-grade kids, and thought it might be fun to include a code for the readers to solve in every chapter. 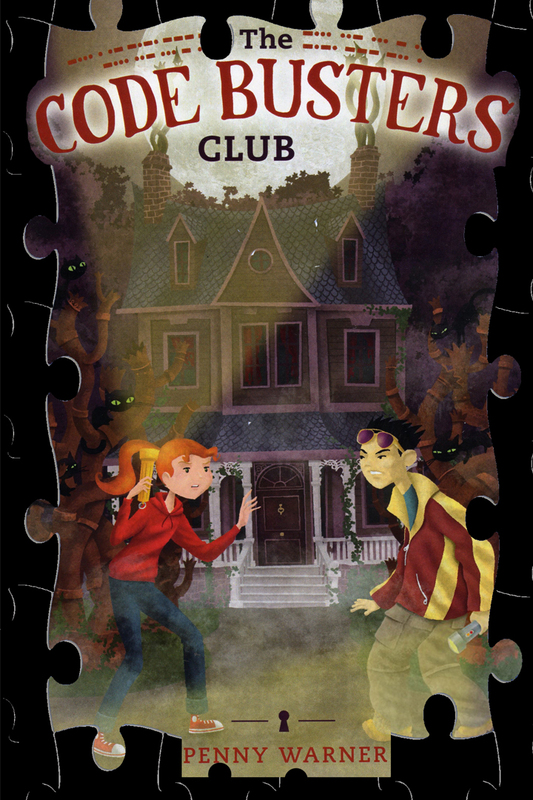 THE CODE BUSTERS CLUB: SECRET OF THE SKELETON KEY was just published last week and it’s full codes for fourth-, fifth-, and sixth-graders to solve, such as Morse Code, Braille, Fingerspelling, Alpha-Numeric, Caesar’s Cipher, and even Semaphore. Each reader I meet gets a code-busting kit to go with the book. While most codes have been around for centuries, one of my favorite codes is called the LEET Code, also known as 1337 Code. It’s a recent high-tech creation based on computer keyboard symbols—and it’s just as challenging for adults as it is for kids! Try to decode the following message in LEET Code. If you can’t, read hints below. If you can solve it, then you’re welcome to join the Code Busters Club, where you’ll find more codes to solve (www.codebustersclub.com). ( 4 /\/ \|/ () (_) ( |2 4 ( I< + # 3 ( () I) 3 ? For some people, this is as easy as ABC to decipher the code, but for others, it looks like nonsense. If you’re having trouble reading the sentence above, here’s a hint: Each letter of the alphabet has been replaced by a keyboard symbol that resembles the letter. For example, the parenthesis ( becomes the letter C. Now can you see what’s right before your eyes? I hope that was fun. Now you can communicate with your friends via email, using the LEET Code—and all you need is a computer keyboard!